Hey there, Verve fans! I'm up on the Viva la Verve sketches blog, hosting this week's sketch... and I'm also sharing a SNEAK PEEK at some brand-new Verve goodness coming up in a few days! What a fun layout to show off a SNEAK PEEK of Get Together that will be releasing in a few days! I also used previously released Coffee, Coffee Word Die, Sprightly Sprigs Die Set, and Classy Label Die and Polka Dot Basics Ribbon Collection. 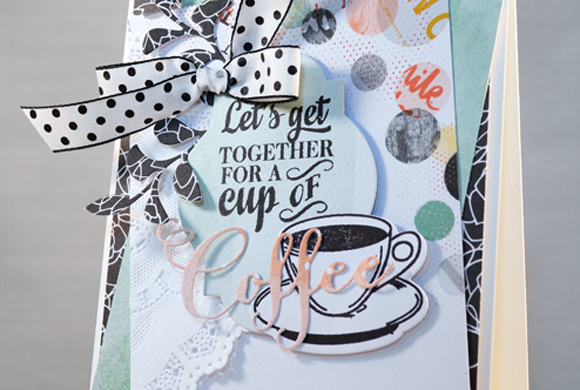 I stamped the coffee cup and sentiment in black ink over some subtle papers and die cut to create a cluster of pretties embellished with some sprigs and a ribbon bow. 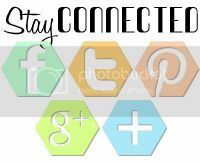 There's a bit more time to play along at the Summer Coffee Lovers Blog Hop, too! Love this, Stacey! The fun papers an sweet die cuts are just perfect! Beautiful card! Oh Stacey I love this it's gorgeous ! This is darling. Love that polka dotted ribbon. beautiful card. love how you interpreted the sketch and the soft colors are gorgeous! Love all your fun layers! This is fabulous! Love the layers and papers! I especially love the coffee die! Fun card. Love how you pulled this all together! 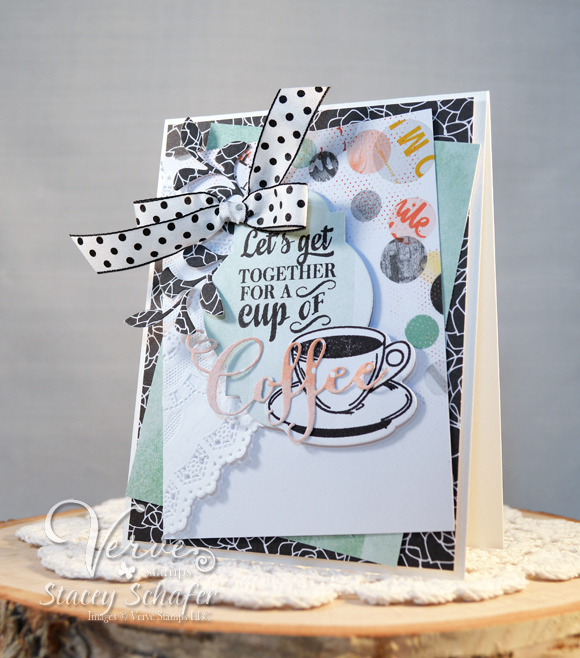 A card of perfection, Stacey, love your design, the partial stamping, all the layering and that wonderful ribbon! Thanks for Verve being an active sponsor this week, loved seeing all the projects! Love the stamping in black with beautiful coordinate papers and the polka dotted ribbon is looking fabulous! Great Creation! That card is awesome love the colors the design and what a great sketch. TFS. Gorgeous card! Love the sketch you used and the colors are wonderful together! Um, yup! I LOVE it! Love love love the play of patterns going on here. You sure know how to design! A fun and colorful card design and love that big bow! Love all the layers and pretty patterned paper. A beautiful card! What an amazing card Stacey! Love your take on the sketch!